Masters monogastric student who loves research and sport. One who believes that research is more than just a dossier but a tool to contribute towards the development and betterment of the world. First and foremost, I would like to thank the South African Young Academy of Science (SAYAS) along with the Academy of Science of South Africa (ASSAf) for giving me the opportunity to share my research and my life story for the past year with the connected world. It has been a journey filled with fun, learning and a lot of self-actualisation. It’s great for a young researcher such as myself to be exposed to initiatives that improve their writing as well as their communication skills – these skills come in very handy when communicating research findings or applying for funding. I would, without a shadow of a doubt, encourage people to apply for such programs and be in the lookout for more programs run by SAYAS. Often we don’t apply for competitions or grant funding opportunities because we are scared to put ourselves out there, to be at the mercy of other reviewers or editors. Being one of the 2016 SAYAS bloggers has trained me to be more open to other people’s opinions, as well as confidently communicate those opinions without fear or prejudice. One of the best stories that I’ve been privileged enough to share on this platform was when I got an email from Prof Muchenje saying that the Senate had approved my dissertation and that I would be graduating for my MSc in Poultry Nutrition, next year in May. That’s the happiest I’ve been in quite some time. …however, there is no rest for the wicked. Such a triumph has left me wondering on what I should focus on next year. Having worked so hard this past year has given me a few options for next year. “Epilogés” is a Greek word that means options. Sometimes we have all these options and then struggle to choose! What if I choose the wrong option??? As things stand, I have 3 options for 2017: 1. Register for my PhD full time, 2. Go to work at DSM Nutritional Products as an Intern or, 3. Pursue both my PhD part time and also work as an intern to get some industry work experience. All these options (like most) have their own virtues and vices. The first option is registering for my PhD full time at the University of Fort Hare. I feel like this is the best option but it competes with the sense of obligation that I have towards my family. I have to contribute towards the livelihood of my siblings and parents but this gets hard if I’m cooped up in a poultry house raising chickens and writing review articles. You can read more about this on my first blog. The benefit of this option is that I can do my PhD in 3 years; I can also benefit funding wise because full-time students tend to get better bursaries than part-time candidates. The second option is working at any company that will be lucky enough to get me (Chuckles). The major benefit of this option is my monthly salary, which will improve my own socio-economic status and that of my family. I can also start working at a young age; this means that I can have more experience and progress through the food chain whilst I’m still young, as opposed to doing my PhD and going into the work force at an older age. Most people will say that you can always go back to school when you are financially capable to support yourself and your family. 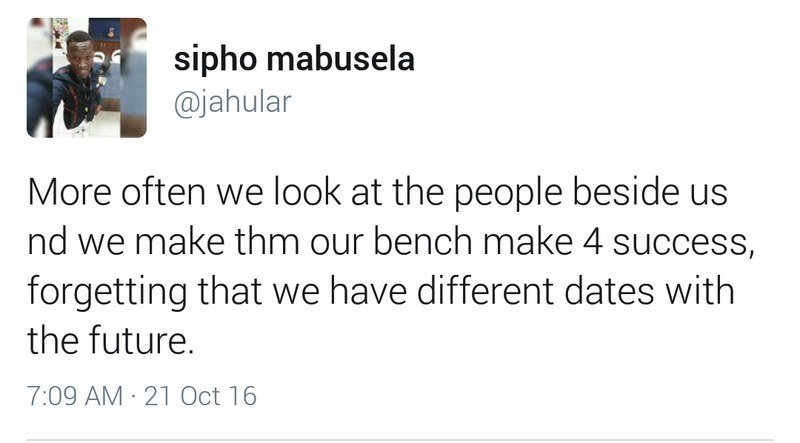 The problem is that the longer you stay away from varsity, the harder it becomes to get back. Once money starts to come in, the need to have a PhD decreases because a lot of people believe that post graduate degrees help them to get promotions and also guarantees a higher paycheck. The last option would be to be a jack of all trades but a master of nothing (Laughing out Loud). On a serious note though, the third option is to pursue both a career in industry and to also do my PhD simultaneously. Many people fall for this option but this option for me has the most disadvantages. It sounds nice: you benefit from gaining work experience, a salary, AND a doctorate at the same time, as well as using your work experience to develop a novel PhD concept. But you probably won’t get a bursary while working full-time. Also, you have to be realistic about time and energy that I can devote to this option. Starting a new job is one of the most stressful things in life – and so is a PhD! …something will have to give. And that will probably be my PhD. Most likely, I will start with a lot of energy and enthusiasm, but seeing it all the way through? Maintaining a ridiculous pace, filled with work, experiments, and writing, for 3-5 years??? The best thing to do would be to write all those down with the different options and chose the most likely to stress you less. I’m just thankful that I still have a little time before I can decide. And luckily DSM Nutritional Products assists its employees to study towards their academic aspirations. So funding might not be a problem entirely, until I need funds to buy cholesterol assays, send samples for fatty acid and histology analysis. Perhaps a Good Samaritan will take pity on me and fund my PhD (winx), whilst allowing me to work and develop my animal science career as well. Whatever option I choose, I have faith that it will be the best. 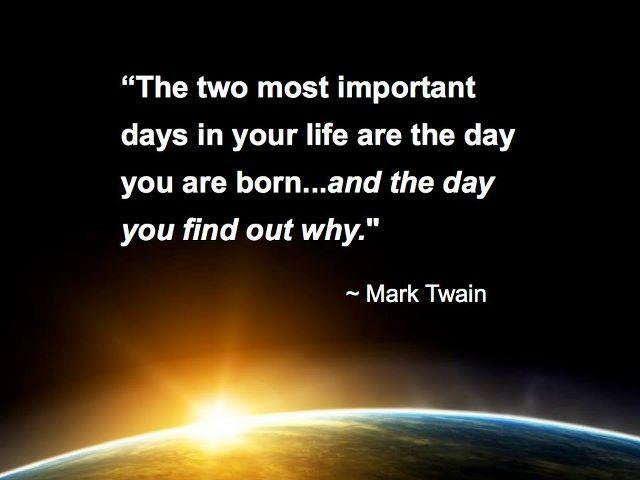 “The two most important days in your life is the day you are born and the day you discover why” Mark Twain. The moment you discover why you were born, for me, is the moment you attain ultimate purpose and subsequent happiness. We live in a society that is materialistic in nature, one that attaches a lot of those materialistic things to success and happiness. The success of a man is measured by the car he drives, the house he lives in or the clothes he wears. Think about the time your parents encouraged you to become a Lawyer, Accountant or a Doctor. In hindsight, you’ll find that it’s not that they were selfish parents that wanted to live their lives vicariously through you. The truth is that they believed that the only way to be successful and happy was to work in those high profile jobs and get paid handsomely. I too was once a victim of this line of thinking; my brother wanted me to do something more “meaningful” with my brain, something like pursuing a degree in Engineering or Medicine. However, I was always set on following a career path that had something to do with animals and agriculture. I guess I was always set on doing what made me happy and not what everyone thought would make me happy. I just never knew that love for animals and agriculture would manifest itself in the form of Poultry Nutrition Research. Whilst I was preparing this blog post, I read a blog titled “Society’s view of success isn’t always satisfying”. In the blog, the author references a verse from Ecclesiastes. The passage reads as follows, “Whoever loves money never has enough; whoever loves wealth is never satisfied with their income.” (5:10). The unfortunate part is that although this is the case but people often correlate happiness to the amount of success/money that one attains throughout their lifetime. They forget that like most things, happiness and success are both relative and not dependent on the possessions that you have. Ultimately, people who think like this will be doomed to live life without any organic happiness or joy because their happiness is based on the need to attain more than what they have, instead of enjoying what they have. 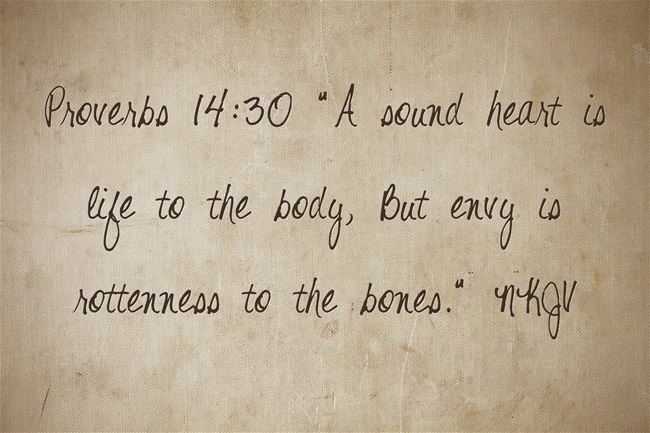 A number of us have at some point looked at our neighbours and started to glow with envy and desire even though the tenth commandment tells us not to. I tweeted a few weeks back that “often we look at other people in society and use them as a benchmark of our own success, forgetting that we have different destinies”. J-Cole, an American hip-hop artist, says in one of his songs that “there’s no such thing as a life that’s better than yours”. He further explains that one can never be happy until they learn to love themselves, what they have, as well as the situation that they find themselves in. This means that if your destiny isn’t to drive expensive cars, to live in Sandton or be a Medical Doctor then it is important to identify that and adjust your life and expectations accordingly. Sometimes being that Poultry Nutrition Researcher, who gets paid a minimum – wage salary, drives a VW Polo Vivo but contributes immensely towards developing the South African Poultry Industry through research is enough; as long as that makes you happy. A friend of mine, Xolisa Wiseman Malgas, wrote a beautiful song- he says that “we can never control the fate that we get from God, but instead our job is to accept what he gives us and move on”. Make the most with what you have. I concur and echo the very same sentiments. Perhaps embracing your situation and making a conscious decision to do something about it will be the beginning of a beautiful life. Perhaps holding on to less materialistic things, like family, friends, a smile from a stranger or even helping an old lady cross the road will bring you long lasting happiness than having to worry about what the next person has that you don’t. I’m not saying that money is not important; I’m simply saying that the lack of materialistic things in your bucket list could potentially help you cope with your current undesired situation; at least till you realise your full potential. After all, “every chick has its day”. There will always be someone who has more money than you, has published more articles or appears to be happier than you. Just always remember to appreciate and “love yourz”.